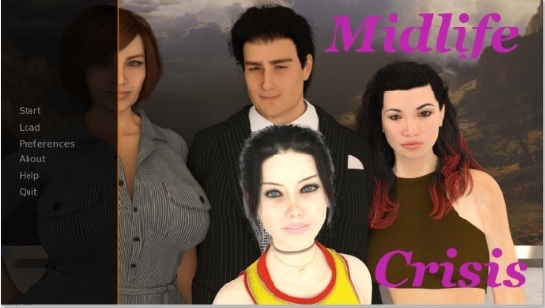 A Wife And Mother : The game is a choice-based visual novel, where you take the role of Sophia Parker, a happily married middle-aged woman and mother of a son and daughter. Due to her husband’s new job offer she just moved with her family from their sleepy, cold, small town to San Alejo, a hot megacity by the sea. And not only the city is bigger but also their new house and backyard. Sophia is a high school teacher and former college lecturer. She comes from a wealthy academics family. In this new town she will be gradually confronted with many delicate situations, both familial and extra-familial, full of temptations and taboos, accompanied by the mother of all questions: what’s really right and what’s really wrong? An odyssey of emotions. So, will she stay the good, faithful wife or will she fall into all the temptations and become a filthy wh**e soon? Some decisions maybe have to be made unwillingly. And in the end she has to ask herself… how far can she go. Enjoy A Wife And Mother!